Best thank you note ever, right? Matt's Aunt drew this awesome pic and his Uncle called me (even less of a phone person than I am) to personally thank me for his blanket as well. I married into a pretty great group of people (and think these two are some of the best out there)! I watched the movie Happy this weekend and really liked what they had to say. I actually learned a lot and was thrilled that I already practice a lot of their findings/suggestions. One study showed that people who have a strong familial bond and close group of friends tend to be happier than those who operate lone wolf style. I thought of this "Heather quote" (and the awesome friend who turned it into this awesome daily reminder) and felt completely and totally blessed. One more thing making me happy this weekend (cause it sure wasn't the rainy/windy weather) was my new pics in the dining room. All the prints arrived and I got them all up. It's not much but it definitely freshens up the room (especially before we add all the Christmas decorations). 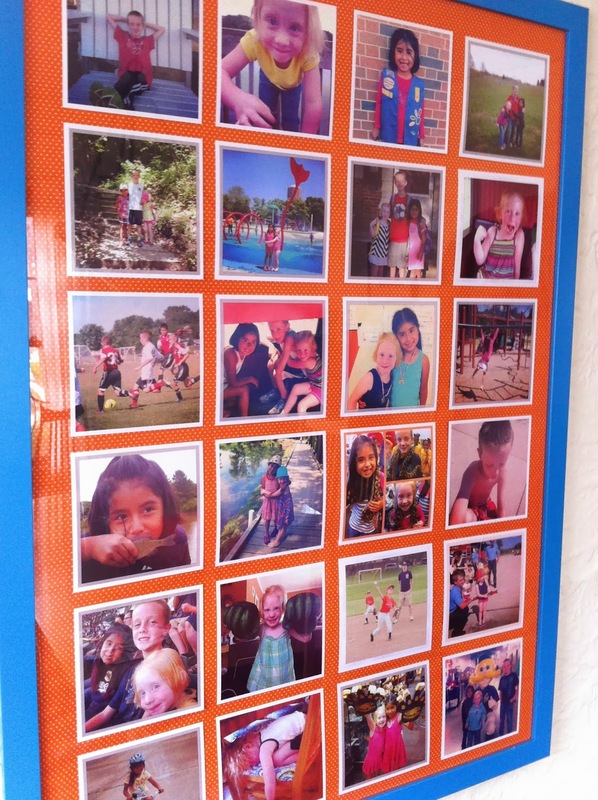 The new Instagram frame (prints purchased here) has some great memories and started quite a few conversations at dinner. I'm spending this week attempting to focus on the happy with cleaning up/organizing projects, holiday project planning, gift creation, and hopefully some fun too. Hope everyone has a great week!